Justine Shaw is a Research Fellow applying conservation decision science to the terrestrial Antarctic, sub-Antarctic nad island ecosystems. She also works on threatened species conservation. Her research focuses on the risks posed by non-native species to Antarctic protected areas, examining the interactions between indigenous and non-native species, and investigating how invasive species influence ecosystem function. Justine is interested in the role of invasive vertebrates as drivers of ecosystem change over time, space and management regimes. 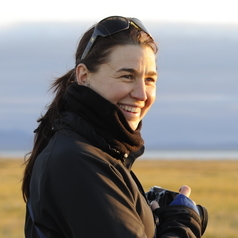 She is interested in ways of dealing with uncertainty in large scale eradication attempts.Justine has been working in polar research for over 20 years.